When I first came to Dr. Lau at Kings Acupuncture, I had been suffering from severe nerve pain as a result of a bad case of the Shingles. My attack of the Shingles started in December 2016, and after the blisters were cured, about three weeks later, I waited for the nerve pain to subside. But it never did. My issue: after the painful blisters dried up, the nerve pain where they had been, never went away. This area covered my right thigh and around to my right buttock. The resulting pain was varied, either dull and throbbing or sharp and electric. It was often strong enough to make me cry out loud. It never went away, just moved around. All I could do was take prescribed medication. I visited neurologist’s and other doctors. Trying to ease my pain, I tried medication and chiropractic, but with only limited improvement. This went on for seven months. Finally, I visited Dr Lau and asked for his help. I must say, that I started getting relief after the first session. A month later, I am very pleased. Much of the pain (sharp and dull) has been relieved. The electric “jolts” are gone and I only get some occasional pains. I would say 90-95% of the total pain is GONE. I have reduced my medications considerably. After 8 sessions, I am feeling MUCH better. I am walking and sleeping MUCH better. I used to have to LIFT my right leg to get into the car, today I found myself getting into the car normally, so things seem to be getting back to NORMAL. So, am well pleased with Dr. lau’s treatment. 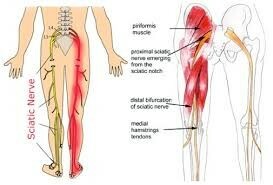 When I first made an appointment with Dr. Lau in July of 2013, I had been suffering intolerable back pain with sciatica nerve pain from my tailbone down both my legs. I had tried stretching, yoga, strengthening exercises, went to a chiropractor and took OTC anti-inflammatory meds. It got so bad, I had to have my husband take me to the emergency room where they diagnosed a possible herniated disc or similar issue. They prescribed opioid pain meds (oxycodone), 800 mg ibuprofen and naproxen. Nothing helped! I was desperate and finding it hard to sleep, eat or work. I had always been open to any type of alternative / holistic approaches to medicine and lifestyle but had never tried acupuncture. I researched some local acupuncture offices and chose Kings Acupuncture after visiting their site and their proximity to where I work. From the first visit with Dr. Lau I felt at ease and comfortable enough to explain all my issues. He asked me questions and got a history. He then gave me acupuncture 4 or 5 times over the next two weeks. I am not kidding when I tell you, I got relief after the first session and continued improving each time after until I was pain free and felt completely normal! I also asked Dr. Lau to treat my hemorrhoids (painful & bleeding) problem and he prescribed some Chinese herbs that made my issue go away completely after a 30 day supply. Almost two years later I had a similar episode of back pain but did not hesitate to make an appointment right away. Again within four treatments I was pain free. Also at that time, I had been having bad wrist pain (carpet tunnel perhaps?) and tennis elbow pain and arthritis in my hands that he treated at the same time and I have not had bad pain since. Recently, I returned again to Dr. Lau, almost two years after my last treatment with similar back / sciatica pain and we are improving greatly with each treatment! I am emphatically endorsing Dr. Lau and his acupuncture practice. I beg anyone that has issues they need help with to consider visiting Dr. Lau and King’s Acupuncture for help! Don’t suffer any longer! Thank you for your continued service! I wish to express my appreciation to Dr. Lau and his staff for the acupuncture treatments administered so far. They have helped to alleviate a great deal of back pain I’ve experienced since being struck by a car in August 2016. I am no stranger to lower back pain. But since the accident, my mid-back has become a new addition. Thankfully, your treatments have shown improvement in both areas as I am sure they will continue to in the future. 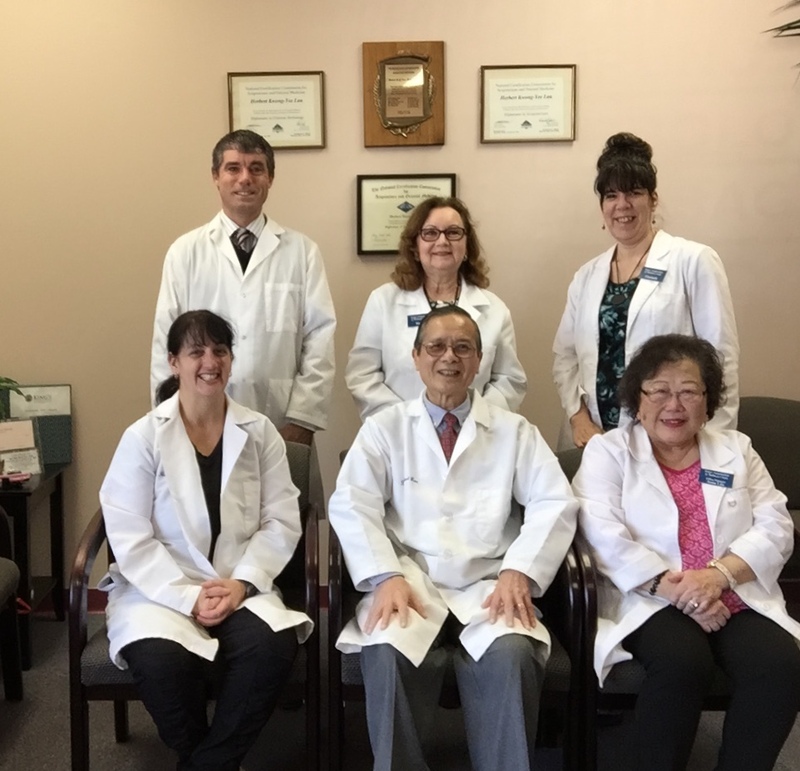 Dr. Lau’s staff is very welcoming and conduct themselves in a professional manner which helps to promote the healing atmosphere that exists throughout the treatment and beyond. I am truly grateful to have discovered King’s Acupuncture & Wellness Center. I have had osteoarthritis for many years now and had put up with aching joints, particularly in my knees. When it became obvious that the pain was affecting how much walking I could do, as well my ability to walk, my daughter suggested giving acupuncture a try. She suggested I make an appointment with Dr. Lau so I took her advice. Within a few sessions, I came to realize the swollen knees and pain had gone away. It truly was unbelievable! Now I find myself with digestive problems and once again, have turned to Dr. Lau for help. All is coming along in a satisfying manner. Dr. Lau takes into consideration the whole body or person, which is reassuring! I have had knee problems for 15 years. Having arthroscopic about 12 years ago and not really feeling at least 50% better I turned to prolotherapy which worked very well for many years. The cost of the treatments were prohibitive so I stopped. It really helped for a number of years. Recently, I injured my left knee. I could not go up and down stairs without grimacing in pain. Getting in and out of a chair was very difficult. I am a 64 year old big guy but exercise every day. I decided to try Acupuncture to see if what I have heard about it was true. Let me tell you, Dr. Lau’s procedures worked great. After the second treatment I was 50% better. After the forth I was 80% better. I realize that my knee will never be 100%. I will take being able to walk up and down the stairs with little pain and getting in and out of a chair with virtually no pain. Dr. Lau is a great guy who obviously knows his modality in and out. The office is very professional yet relaxing and soothing. I would suggest Dr. Lau to anyone who can’t find relief in anything else they have tried. Dr. Lau also knows his herbal supplements.